Whether you're a GM-brander or an all-out pro-touring fan, you're probably aware that 2017 holds a special note in the automotive world. 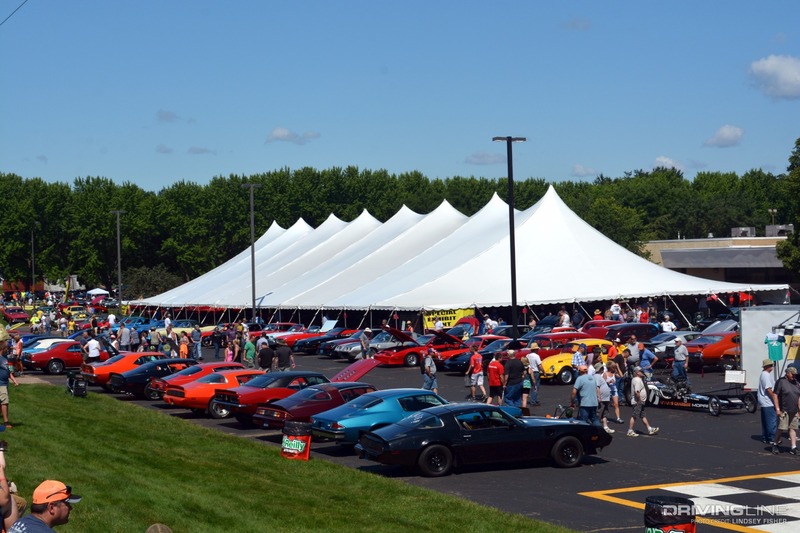 It is, after all, the 50th anniversary of the Chevy Camaro and Pontiac Firebird. Both vehicles shared the F-body platform, up until the fifth-generation Camaro. While one model may not officially exist today (and the other may have taken a short hiatus on assembly lines in the early 2000s), no single-bodied platform in the history of automobiles has ever struck fear in Ford, Plymouth, Dodge or AMCs quite like the GM F-body has. 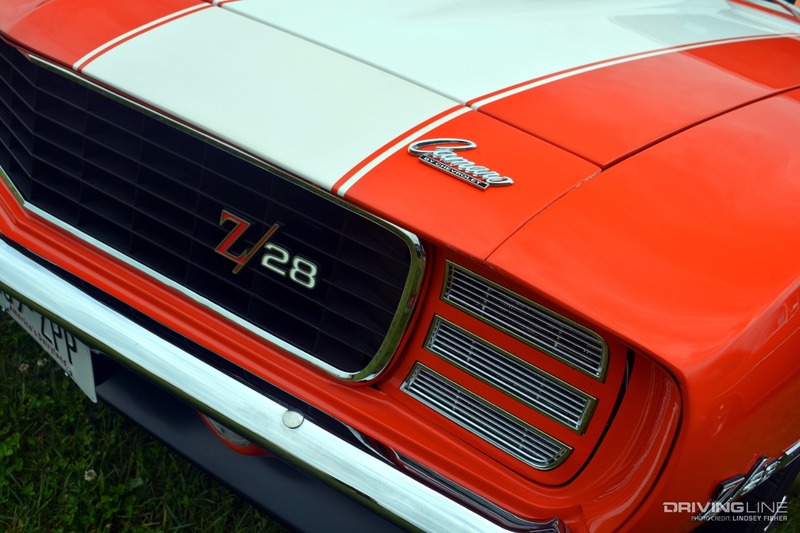 Built to compete against Ford's flagship muscle car, the Mustang, GM F-bodies debuted in 1967. Competitive both in looks and performance, and available in just about any desired trim level, the F-bodied cars quickly took the world by storm. 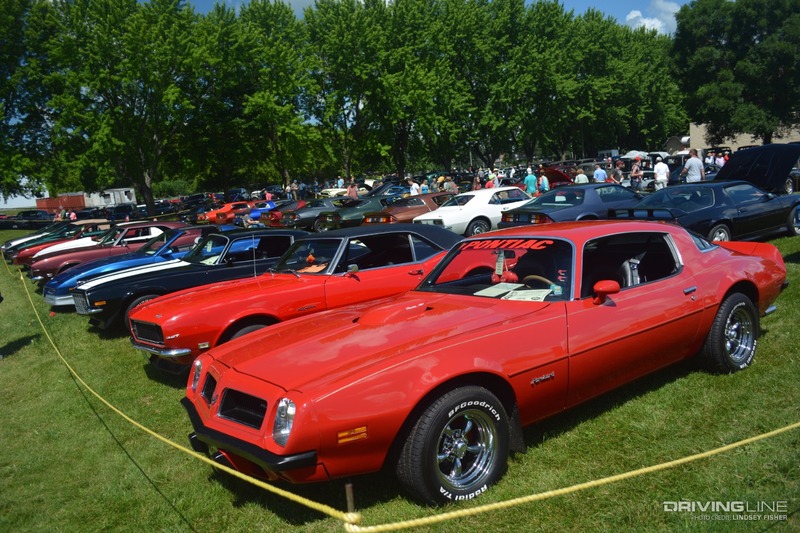 Now one of the most recognized muscle cars, even by non-gearheads, the classic Camaros and Firebirds continue to make their presence known. 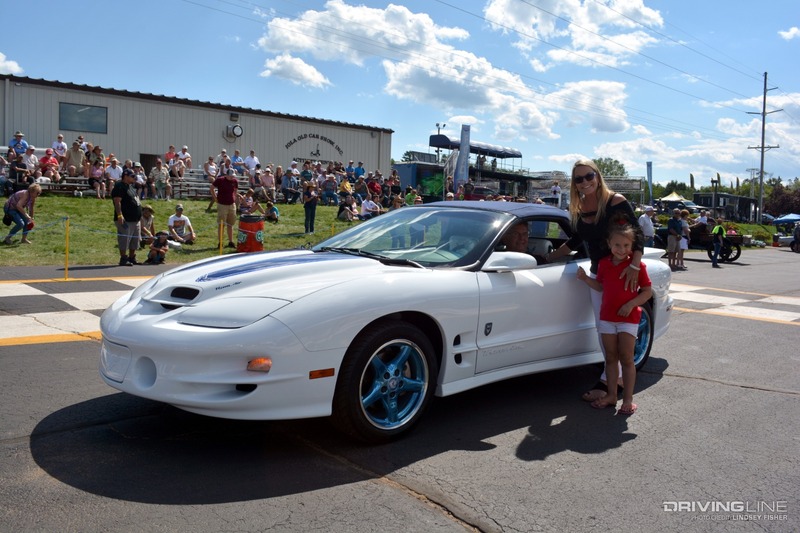 The 45th Annual Iola Car Show celebrated the half-century birthday of the F-body by making Camaros and Firebirds (and a handful of their Trans-Am Racing counterparts) the stars of their event. 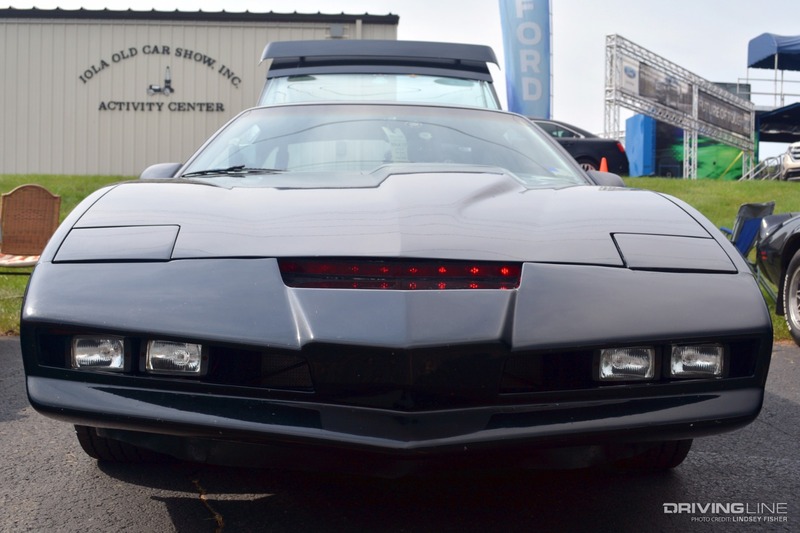 We've never seen so many F-bodies in a single place outside of an all-Camaro or all-Firebird event — which inspired us to reflect on the last 50 years of the famed Chevy and Pontiac pony cars. Shortly after Ford released the first Mustang in '64½, rumors began that Chevrolet was working on producing their own version of the pony car. At that time, the project was code-named "Panther." 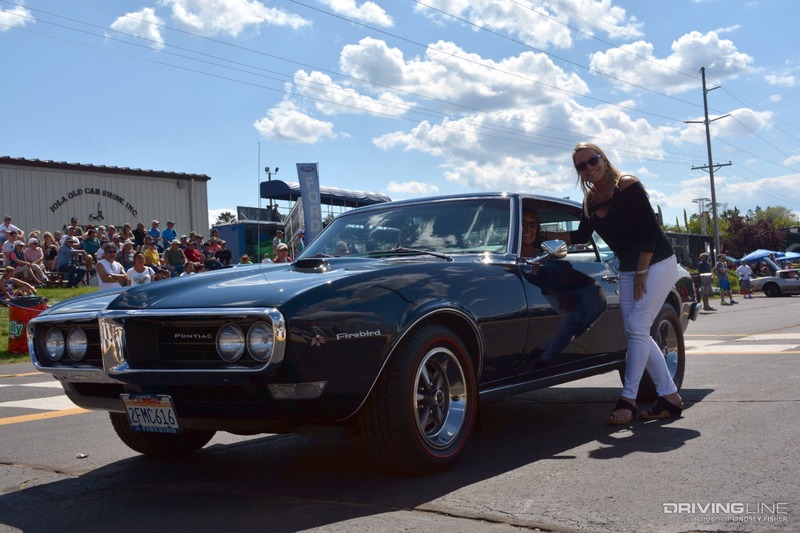 It would be September of '66 when the first Camaro debuted, the '67 model — followed by its cousin, the Pontiac Firebird, in February of '67. In June of '66, a number of automotive press writers got the confirmation they'd been waiting for: The "Panther" car was in production and would be named the Chevrolet Camaro. The car hit dealerships in late September, just three days after its official public reveal. 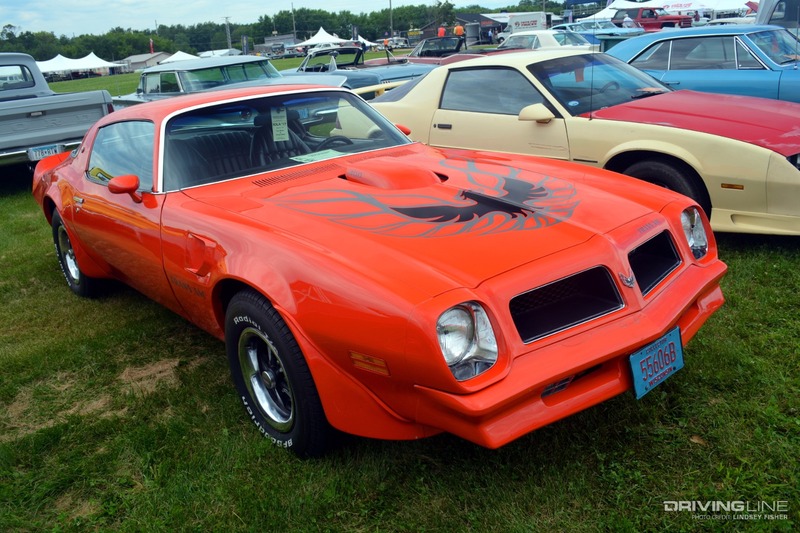 The Firebird, based on the same GM F-body platform but with a handful of differences, followed less than six months later. 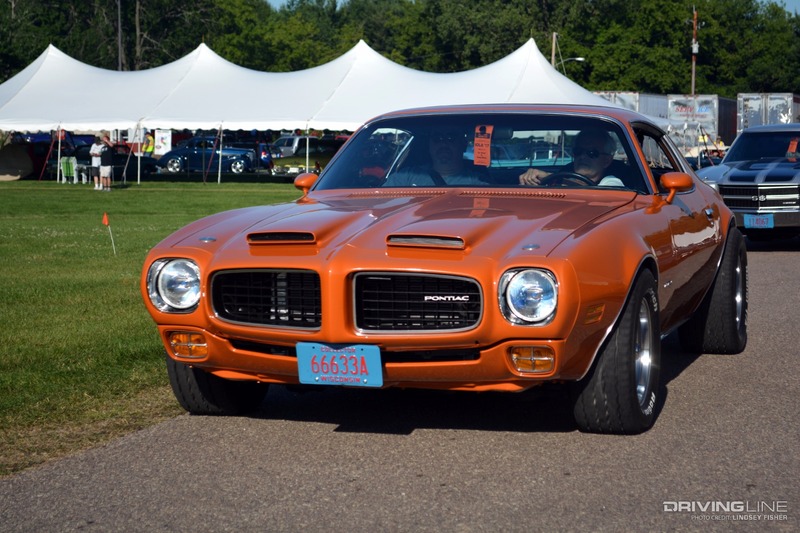 Engine choices for the first-generation cars ranged from a 230ci "base" engine to a 396ci V8 for the Camaro, and a 400ci V8 for the Firebird. 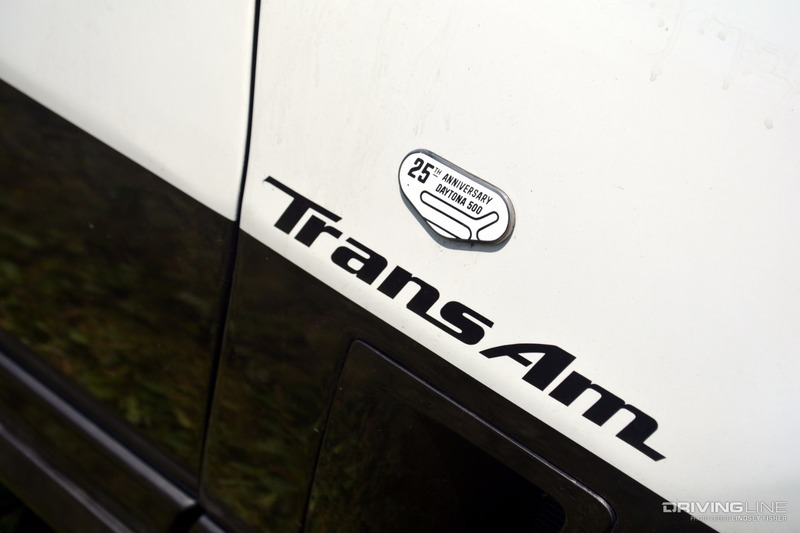 Several trim and performance levels were available for each, such as the Z/28, Rally Sport, Super Sport, Sprint Six, Ram Air, Ram Air IV and Trans Am. 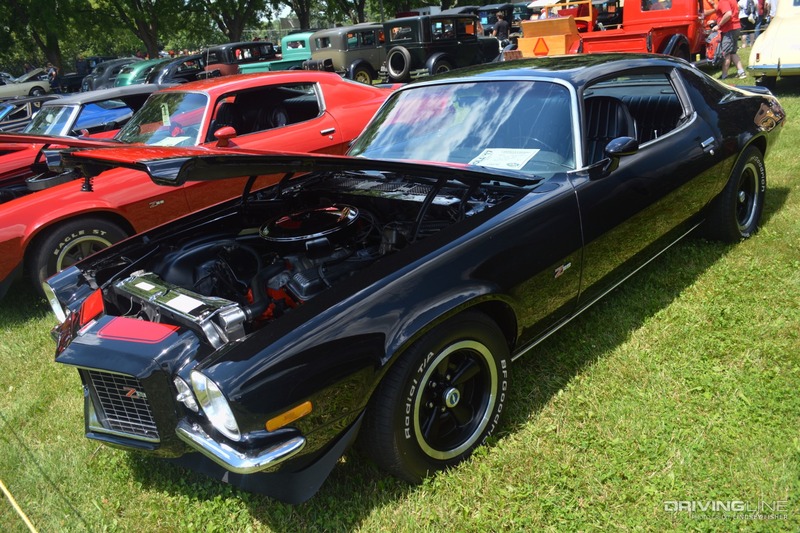 Typically the most popular of the classic F-bodies, the first-generation Camaro was represented en masse at the Iola Show, right down to the very first Camaro ever produced. 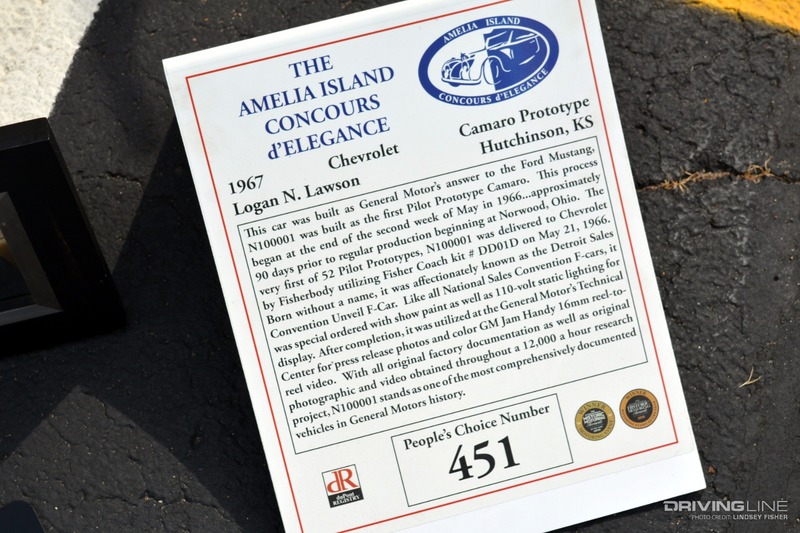 That's right — this year, as part of the show's celebration of the GM F-body, the Iola Car Show hosted the original N100001 “Pilot Prototype” Camaro. 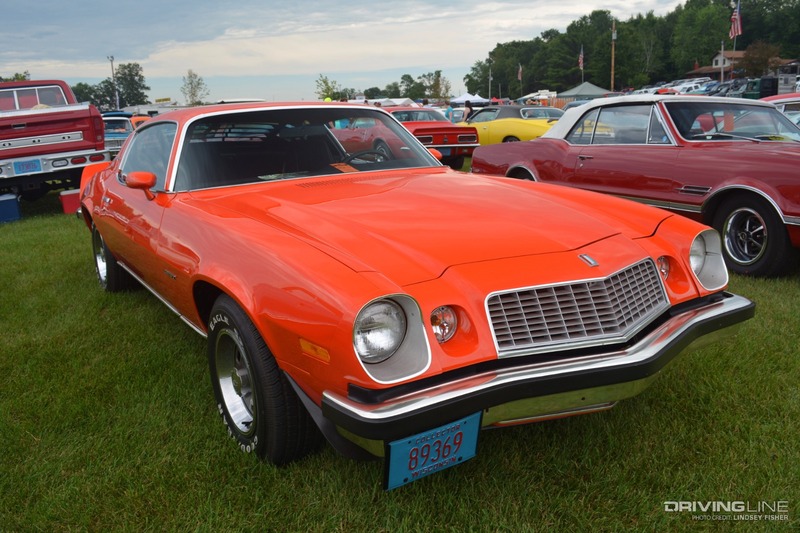 N100001 was produced months before the first actual production Camaros. Discovering the forgotten prototype on an automotive message board, Logan Lawson began digging to figure out what he had found. His dad Cory agreed that it could be something special, and the pair purchased it and began the process of restoration. 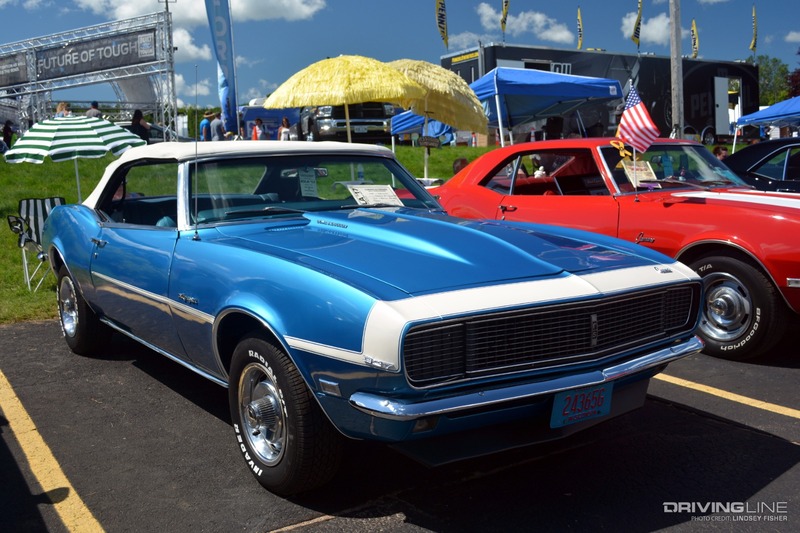 The very first of 52 Pilot cars, this Camaro featured a L/6 230ci V6 engine, three-speed transmission, whitewall tires, disc brakes, 110-volt wiring, deluxe seat belts and Granada Gold “Show Paint.” It was used for press purposes leading up to the unveiling and consequent sale of the very first Camaros. N100001 is as original as it gets. 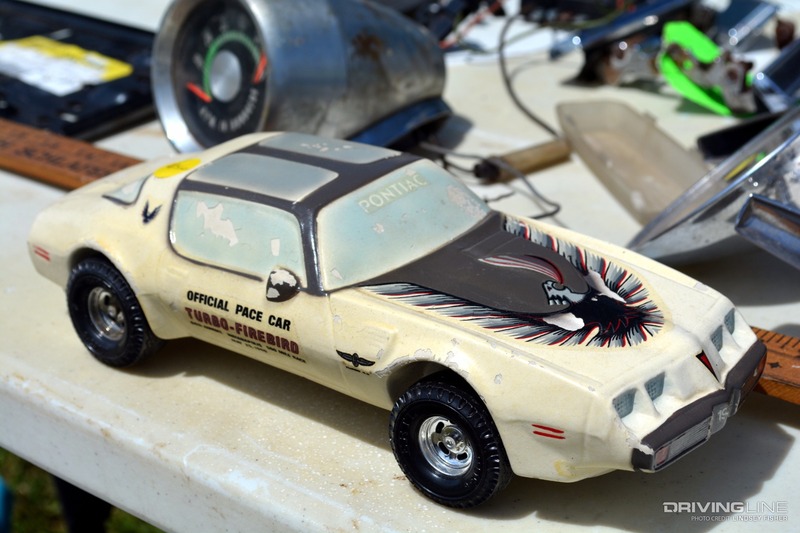 While the car had been owned by a number of individuals, eventually being turned into a V8-thumping drag car, all of the original prototype components were kept by a previous owner. Once Logan and Cory confirmed the car's provenance, the sale of all the original parts was negotiated. After over 12,000 hours of research, impeccable attention to detail, great care and expense paid to keep all of the car's original sheet metal, as well as a passion to preserve this amazing car, the restoration of N100001 was completed in May of '14. 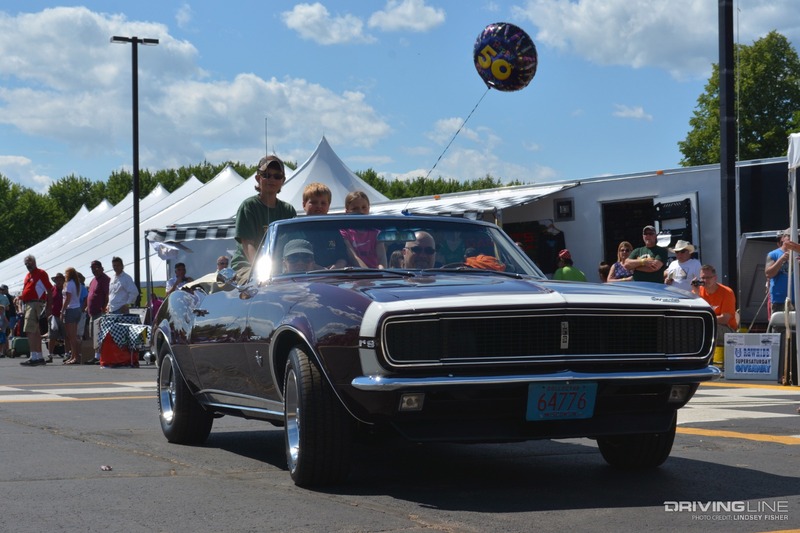 It now makes special appearances at events, such as this 50th anniversary celebration in Iola. 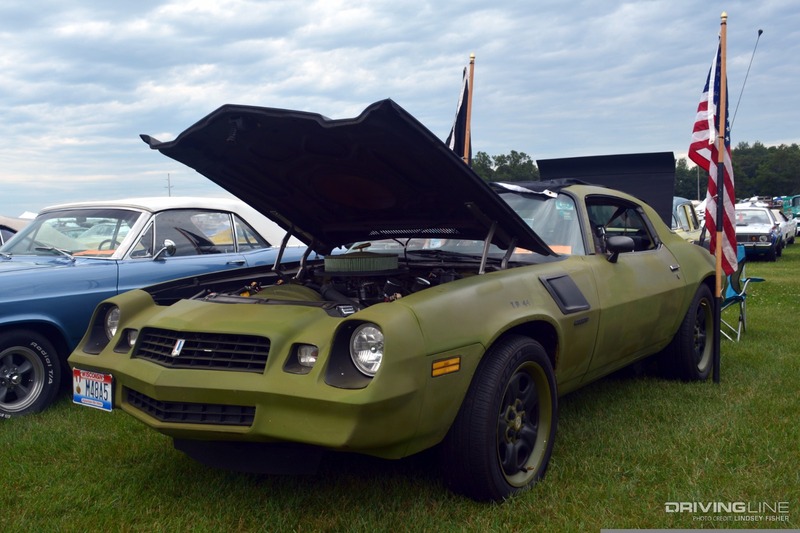 While this special First-Gen certainly took the cake for the best story at the show, we found countless other F-bodies with notable pasts — from first cars turned into life-long dream restorations to cars driven all over the country having never seen a trailer. 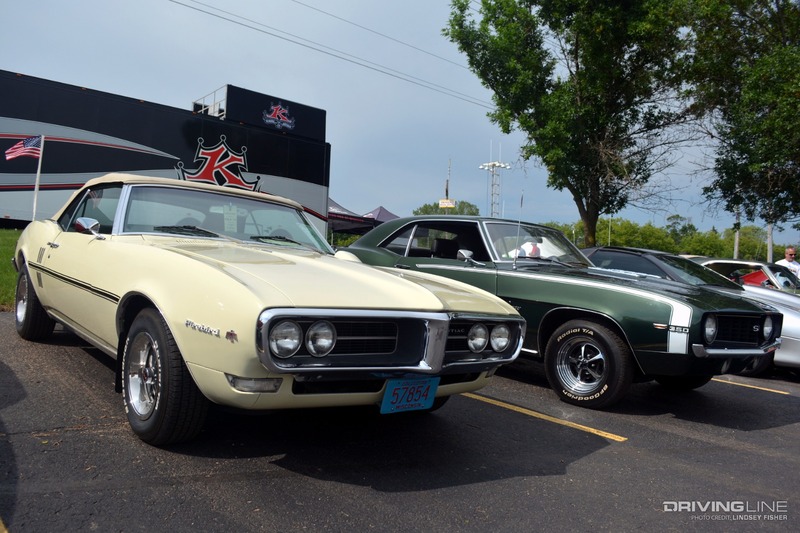 Of course, we also found our fair share of pro-touring beauties in the mix! 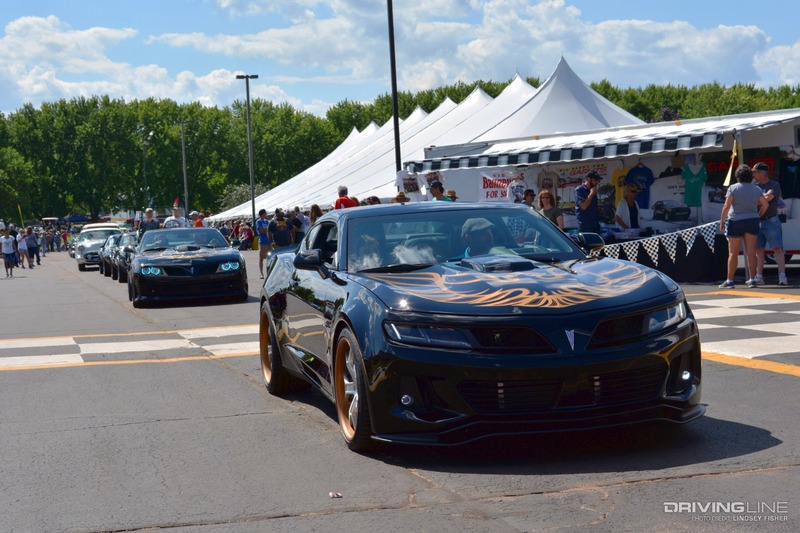 GM completely redesigned the look of the Camaro and Firebird for its second generation. No longer were the squared-off body lines and "Coke Bottle styling" the defining aesthetics. These were replaced with more elongated and curved contours, a wider, lower stance and a more pronounced nose. Second-Gens were only sold in coupe form but with significantly more powertrain options, and were meant to be more driver friendly. Over the course of 12 years, the F-bodies were offered with 14 different engine options, four different transmissions and four distinct trim/performance levels per car. 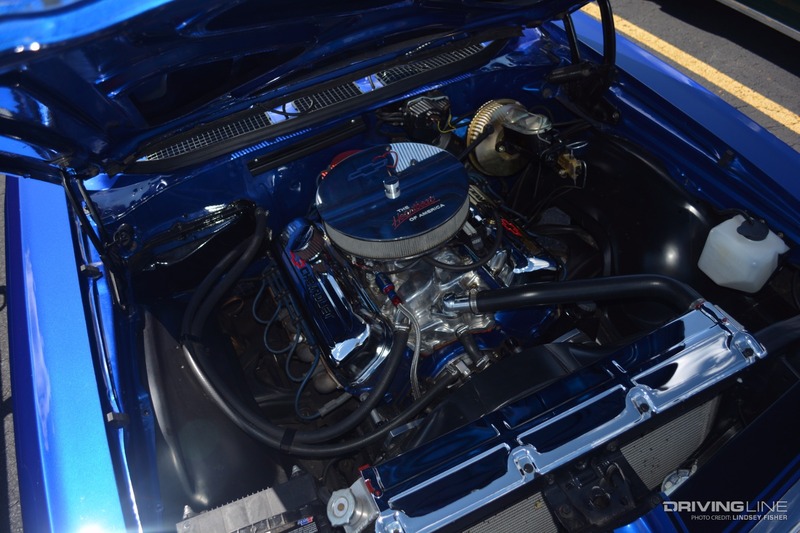 Engines ranged from a 230ci engine all the way to a 455ci in Firebirds. 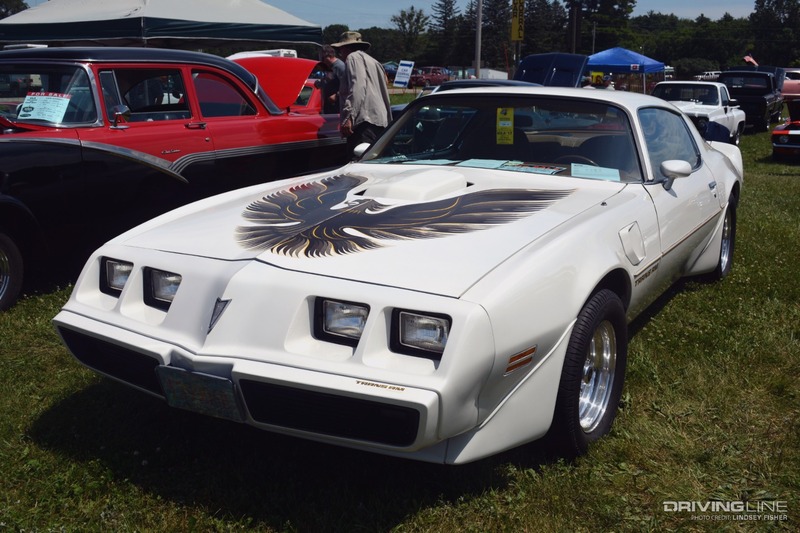 The second generation of the F-body also brought with it a number of special edition cars — including the 10th Anniversary cars and the famous “Smokey and the Bandit” Trans Ams. 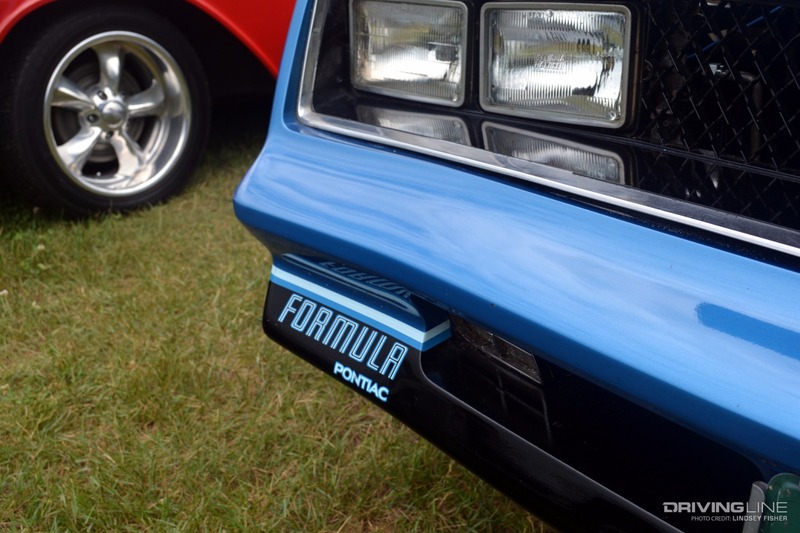 In the second-generation crowd, we found just about every period-acceptable color imaginable in Iola: from understated “base” models to top-of-the-line Z/28s and Trans Ams, complete with paint schemes you'd recognize from a mile away. 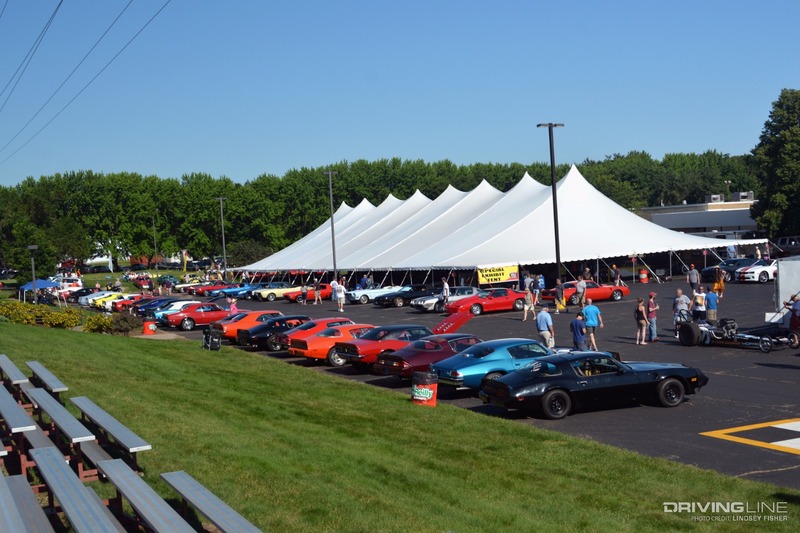 Surprisingly, Second-Gens seemed just as popular as the First-Gens on the show grounds. There were also plenty of them for sale in the Car Corral for those looking to join in on the fun. Redesigned once again for the third-generation, the Camaro and Firebird varieties took a turn towards being an “everyman's car” with the introduction of the first standard 4-cylinder engine. 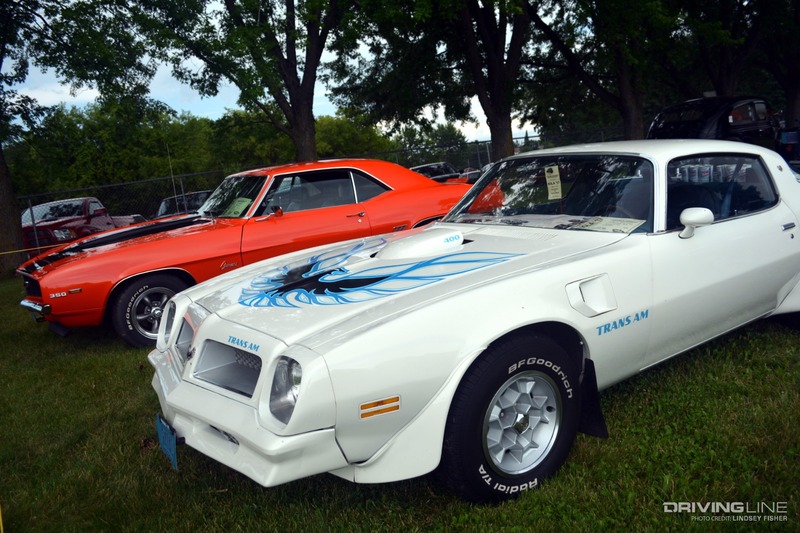 For the Firebird, the S/E model was introduced between the base Firebird and the Trans Am, taking the place of the Formula Firebird until 1987 when it was retired and the Formula returned. For Camaro, Berlinetta entered the picture with a standard V6 and an optional V8. 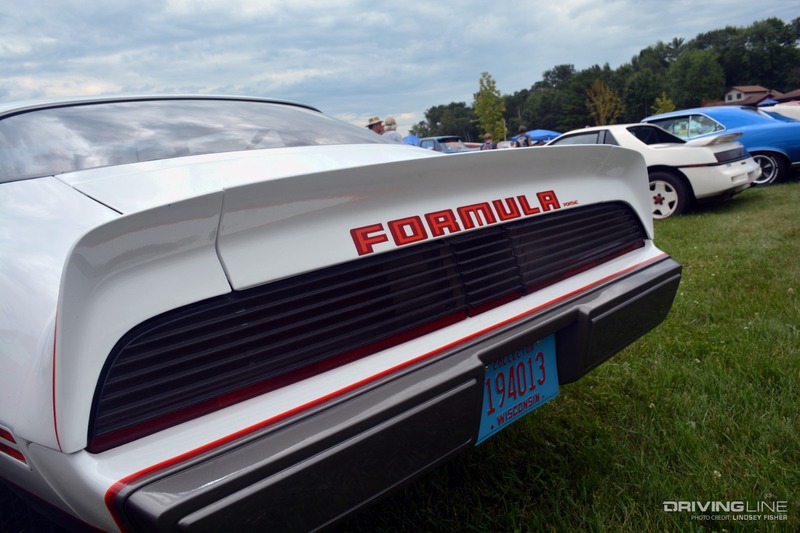 The big upgrade to the lineup for Camaro in the '80s was the introduction of the IROC-Z in '85. Additionally, the 1LE was introduced in '88, geared mostly towards those interested in stock racing. Unfortunately, all of the higher displacement engine options disappeared with the second-generation cars — limiting the F-bodies to, at largest, a 350ci option. The convertible body style was reintroduced as an option for both the Camaro and Firebird. 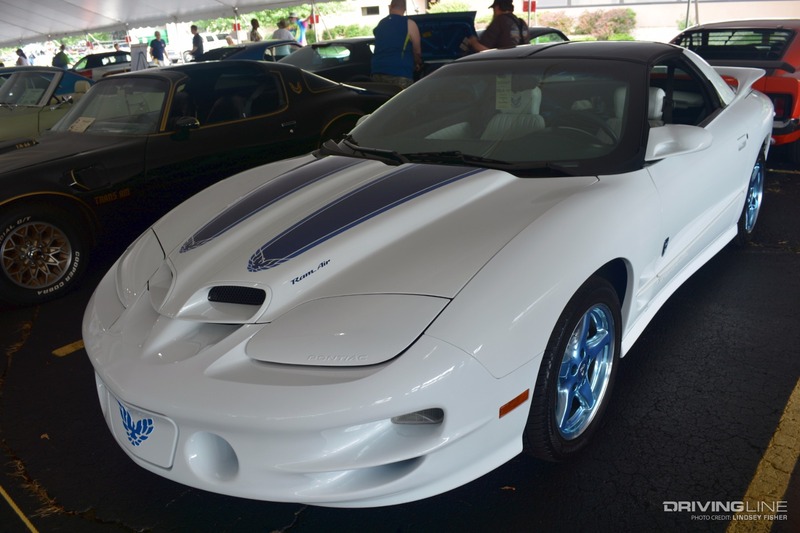 Special styling and performance packages like the Firebird GTA, Firebird 15th Anniversary Edition, Camaro 15th Anniversary Edition and the Firebird 25th Anniversary Daytona 500 Limited Edition cars were among those “extras” marketed for sale to the public. 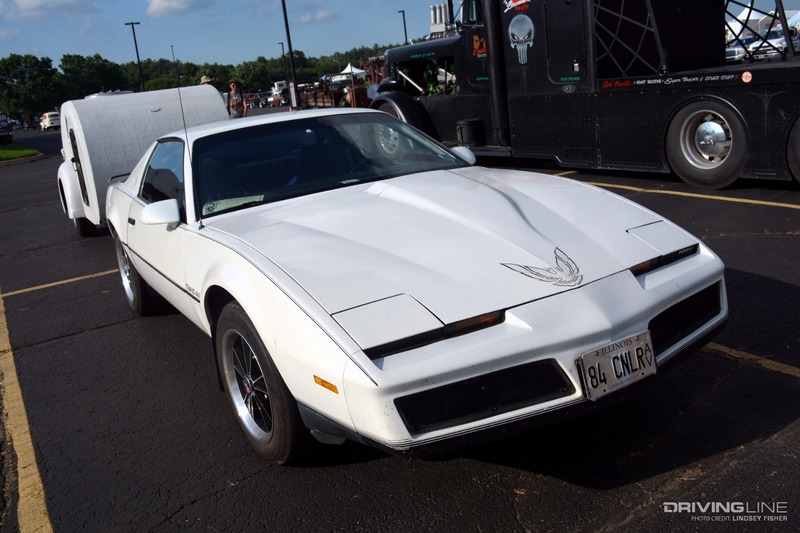 IROCs, GTAs and even a 25th Anniversary Daytona 500 Trans Am, among other more standard '82-'92 F-body models, were also on hand in Iola. 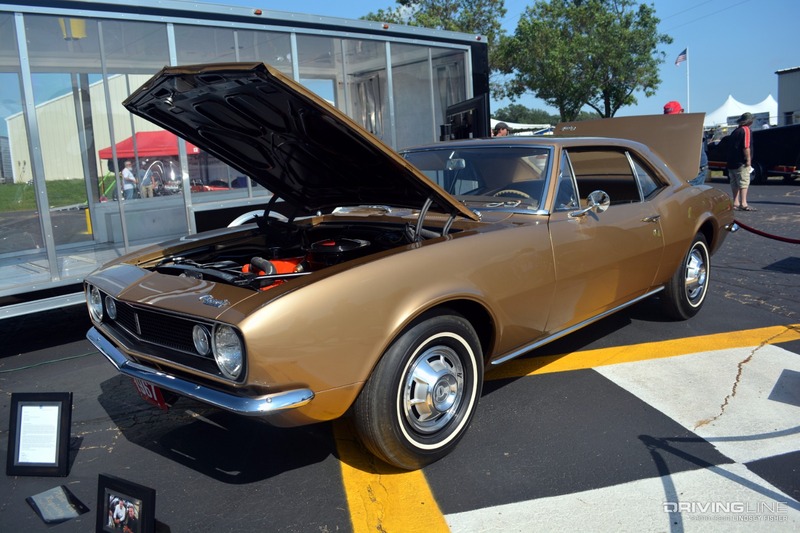 With their popularity growing more and more these days among enthusiast builders, there were a number of super clean Third-Gens on display and available for purchase. GM once again redesigned the Camaro and Firebird, giving it a wider and more rounded appearance. Eliminated from either lineup was the 4-cylinder engine option, with the V6 used as a standard equipment, and a V8 option available. 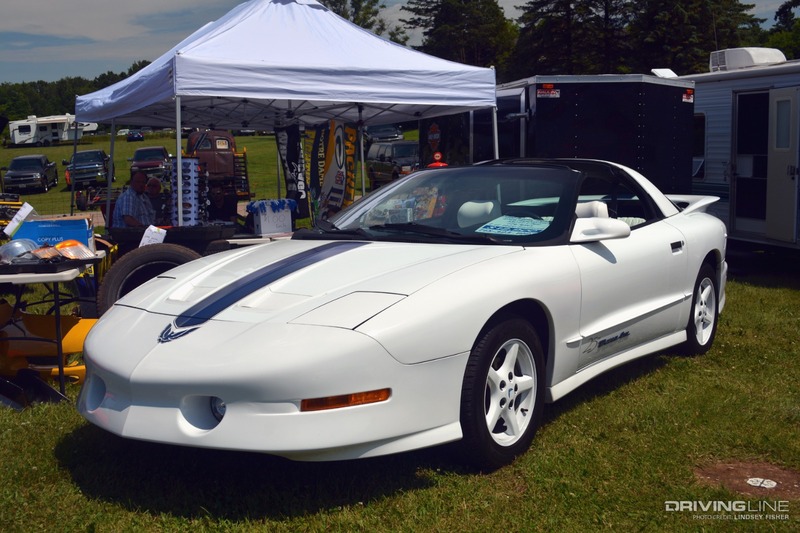 For the '98 model year, the car received another revamp — incorporating more body swoops, different headlights, taillights and hoods. 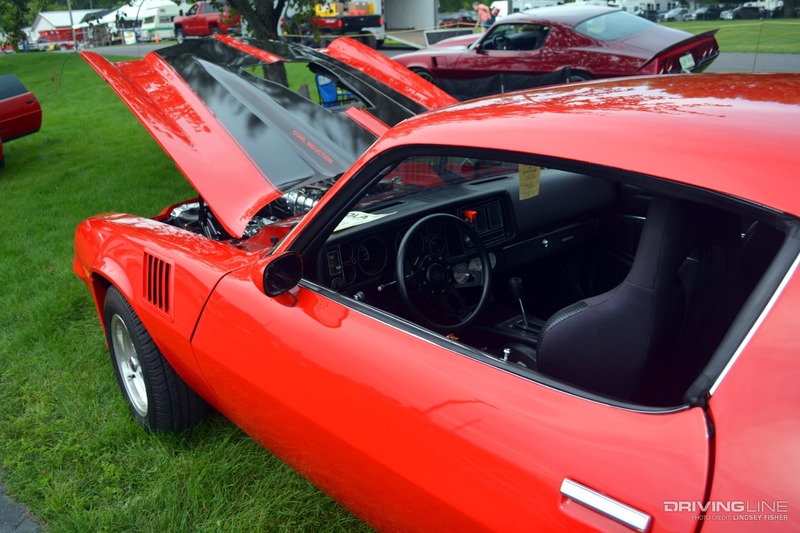 That year also saw the switch from the LT1 to the LS1 V8 in its top-of-the-line models. 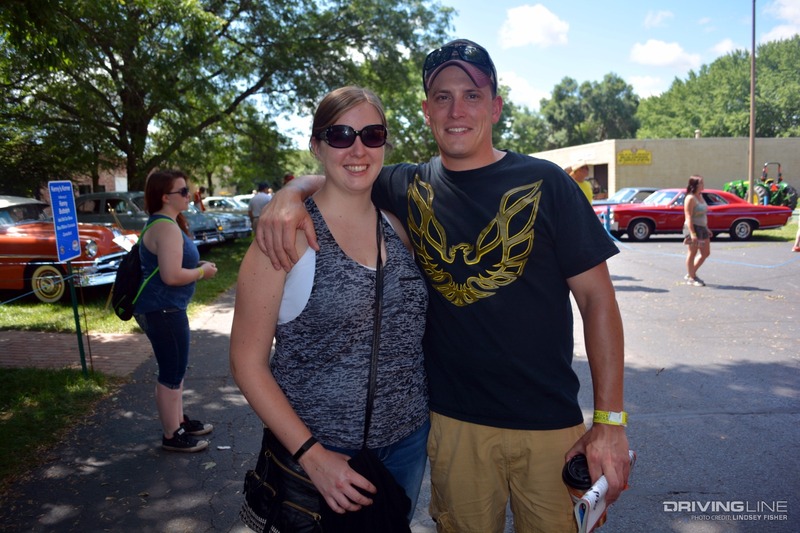 Fourth-generation cars were undoubtedly the underdogs at the Iola Car Show grounds. 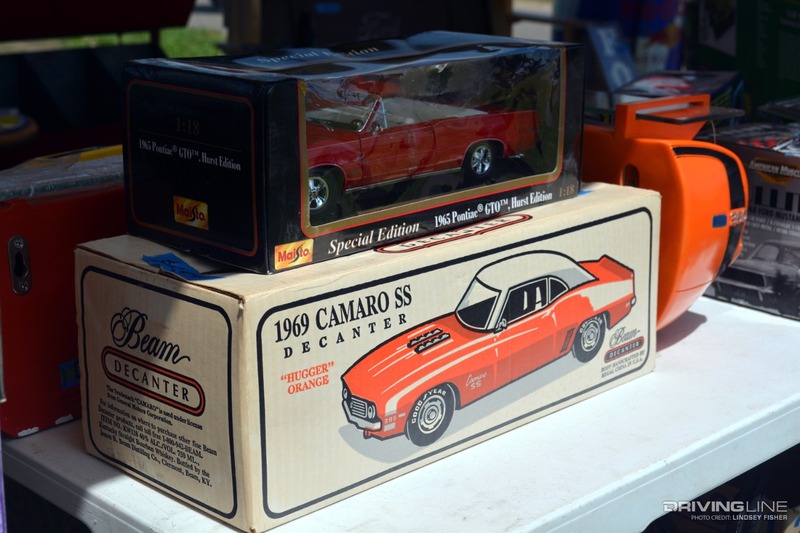 Only a handful were present, most of those either in the Swap Meet or Car Corral areas. 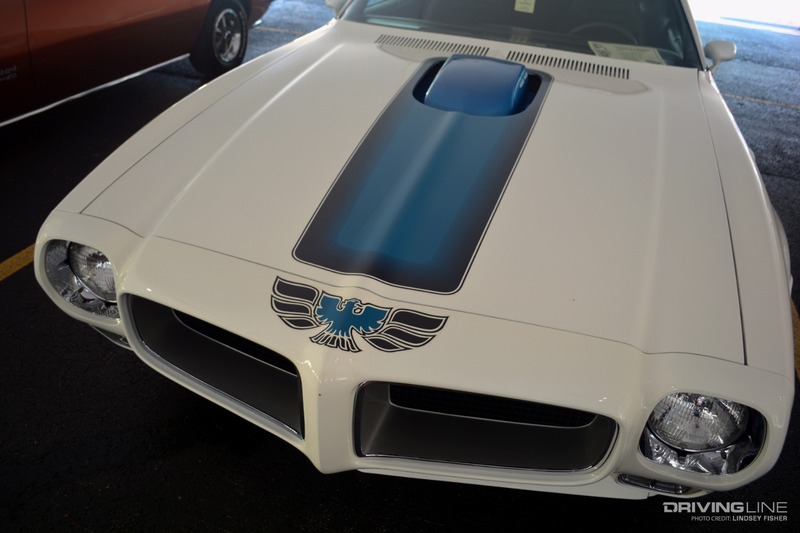 There were, however, a couple of notable Fourth-Gens on hand: a 30th Anniversary Special Edition Firebird and a 35th Anniversary Special Edition Trans Am. Production of the F-body was shut down, seemingly for good, in 2002. Sales had progressively declined, and GM was ready to move on to new things. 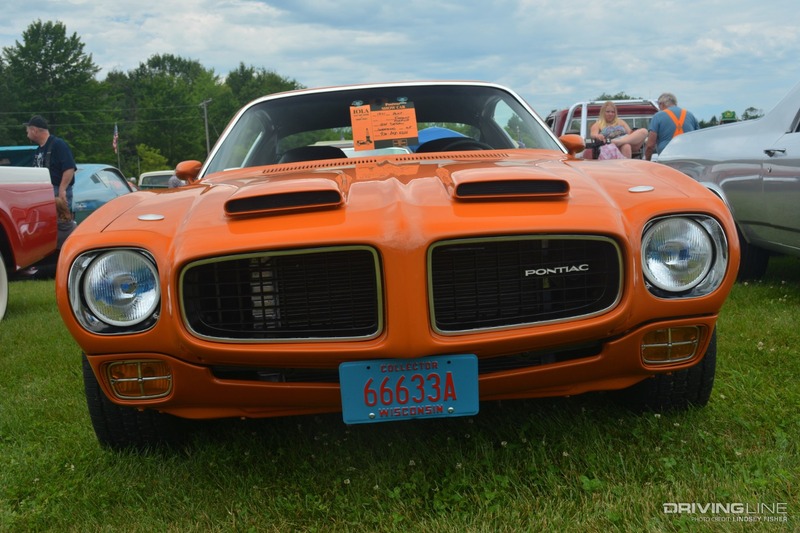 The Pontiac brand went under completely in 2008, squashing any dreams of the Firebird ever being resurrected. It seemed that the Camaro and Firebird were both gone for good, but that all changed eight years later. 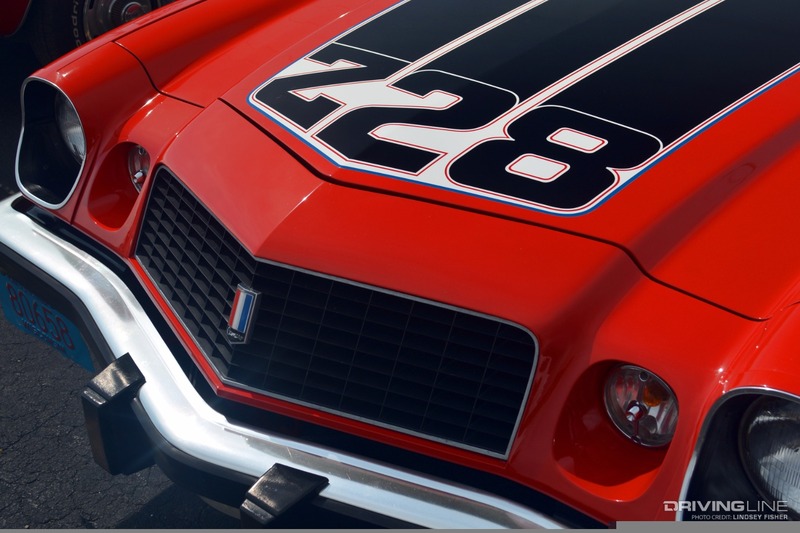 In '10, Chevrolet reintroduced the Camaro title to its car lineup, going with a throwback, retro-styled version to return it to market. 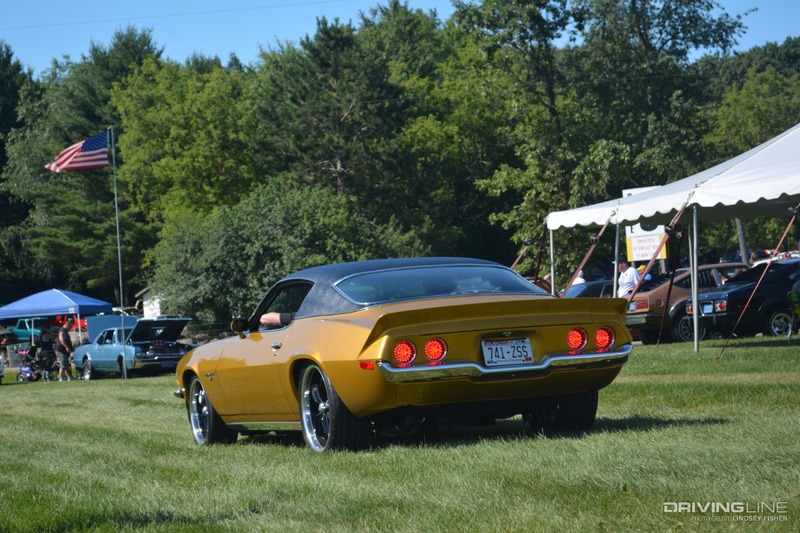 While built on GM's Zeta platform rather than the F-body, the car was based on some of the best aspects of the classic Camaro. 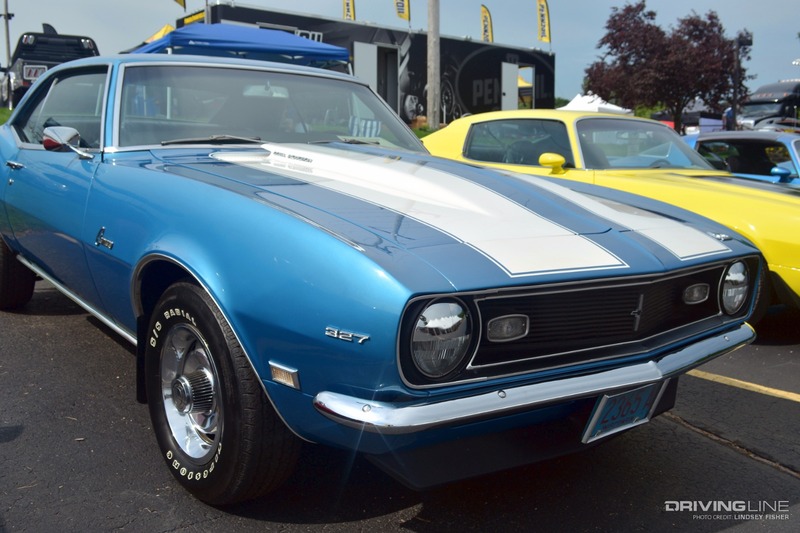 The new version included the Camaro's unique looks and performance roots as a direct competitor of the modern Ford Mustang. 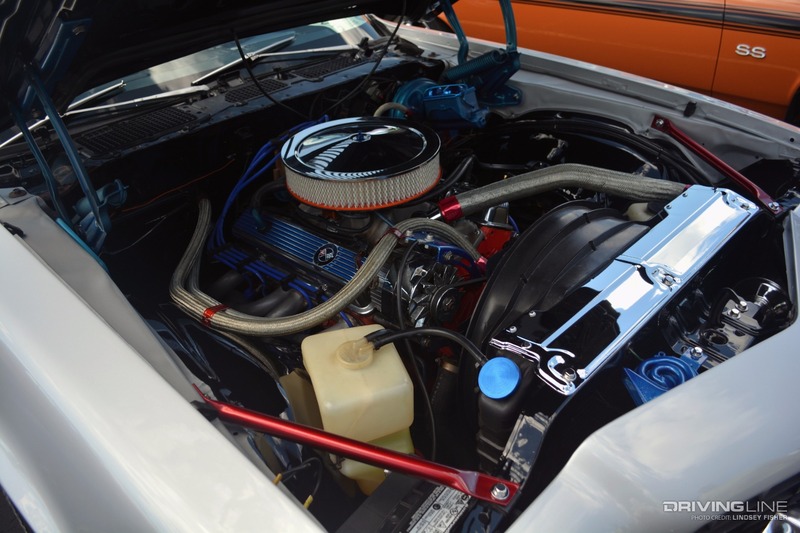 Engine options varied from a 3.6L V6 up to a 7.0L LS7. 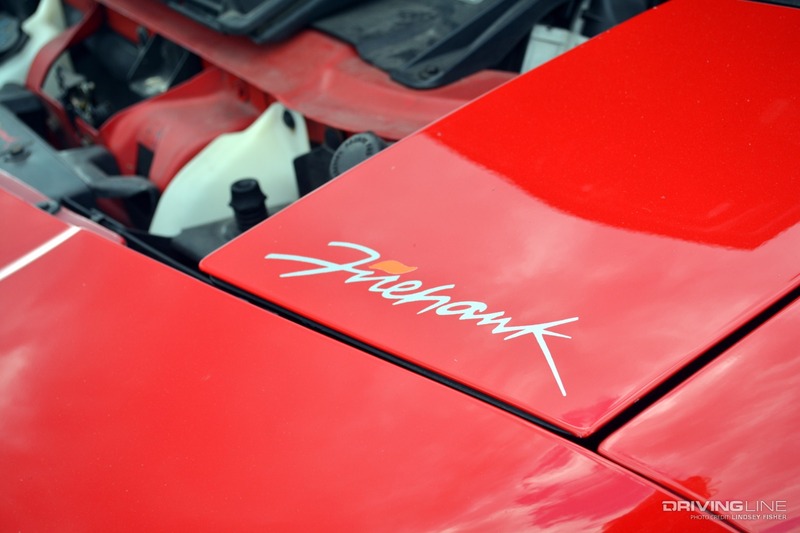 Based on the '06 and '07 Camaro concepts, the car instantly gained popularity, appearing in feature films, commercials, TV shows and in many notable car guys' collections, including Rick Hendrick's and Jay Leno's. 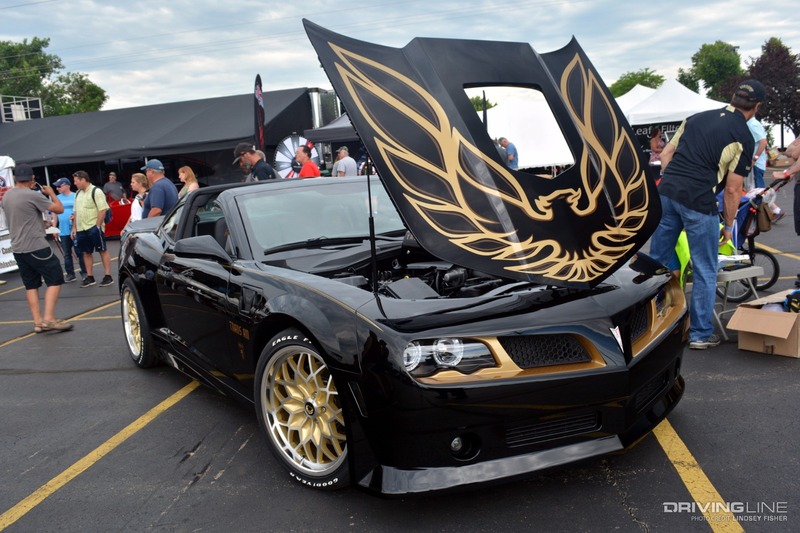 Helping the fifth-generation Camaro gain notoriety was its many releases of limited and special editions: Transformers Special Edition, Synergy Green, Indianapolis Pace Car Edition, 1LE, NASCAR, Hot Wheels and 45th Anniversary Edition Camaros. 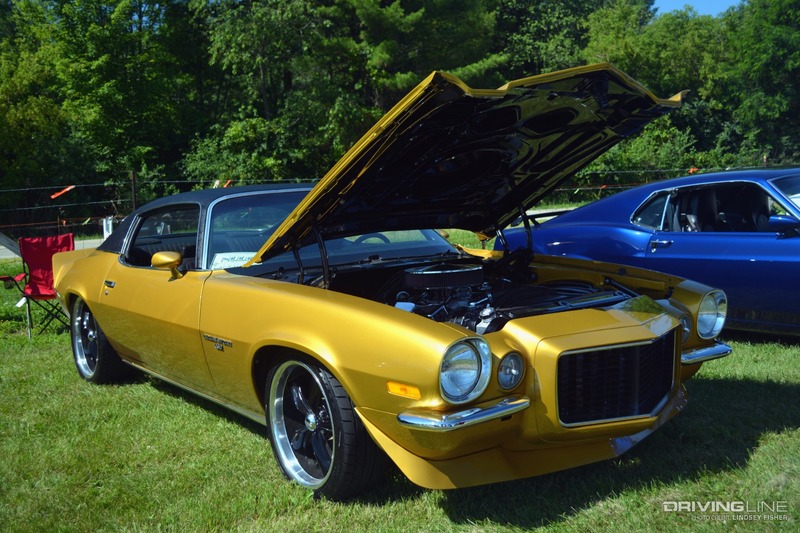 Of course, most notable was the reintroduction of the COPO Camaro in '12. 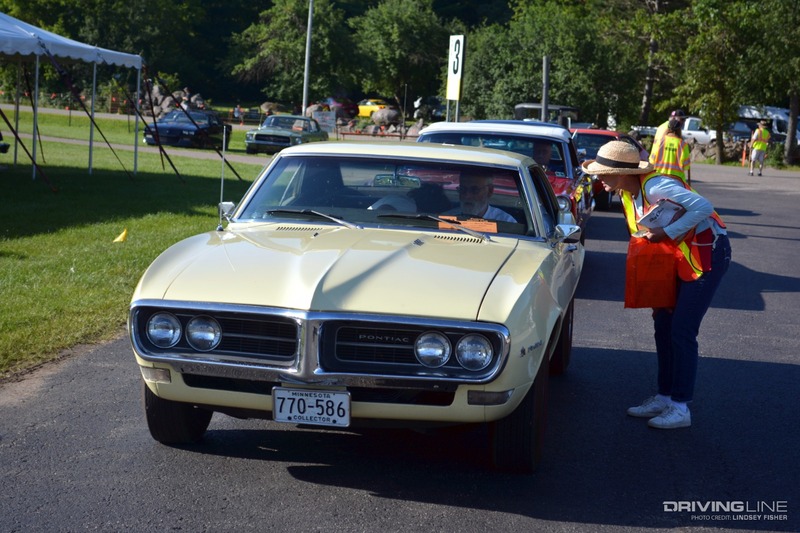 While Fifth-Gens are more commonly seen on the roads and highways, they weren't nearly as prevalent as previous generations at the Iola Car Show. In 2016, Chevrolet introduced their sixth and current Camaro generation. Built on GM's Alpha platform, the car is offered with everything from a 2.0L Turbo Inline-4 engine to a 6.2L LT4 V8 under the hood. Once again, the SS and ZL1 Camaros are available, as is the 1LE for 2017, along with 1LS and 1LT trim levels. 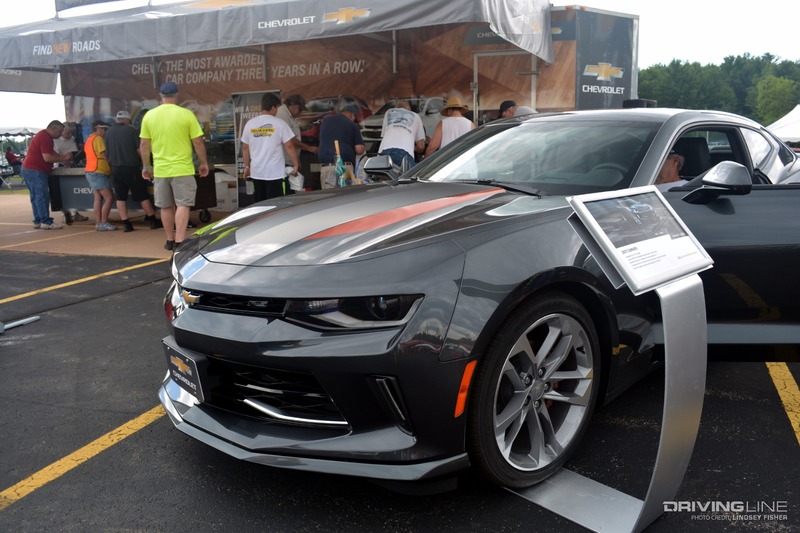 Also for 2017, Chevrolet has released their special 50th Anniversary Edition car, one of which appeared in the Chevy booth at the Iola Show. Only time will tell what else Chevrolet releases in the car's sixth generation. 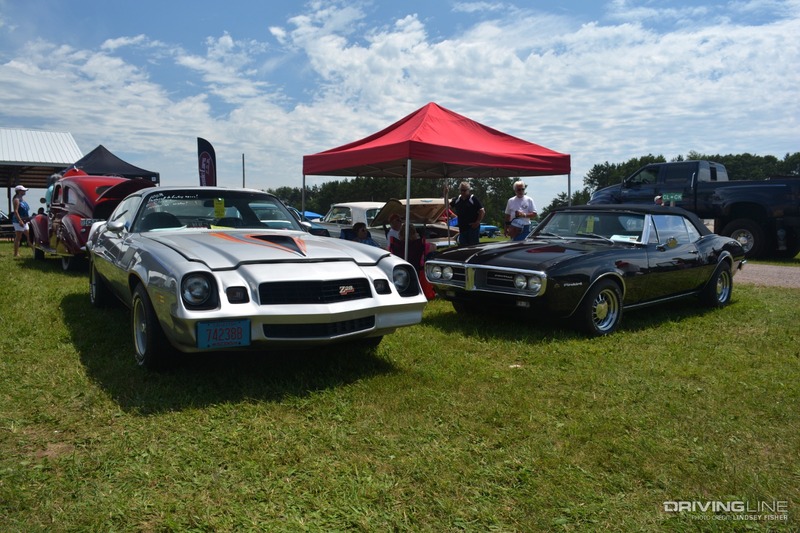 With Camaros and Firebirds of all generations, trim levels and build types, as well as countless special edition cars you hardly ever see, the F-body turnout at the Iola Car Show was impressive to say the least. 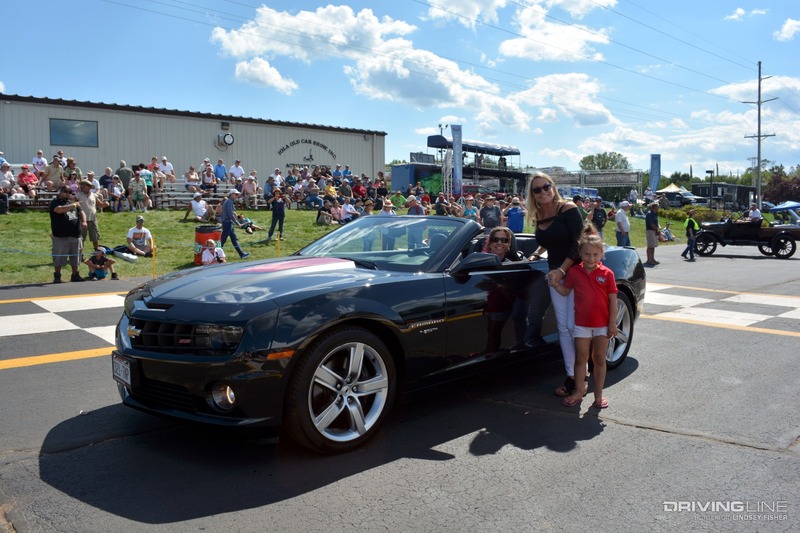 We certainly enjoyed the unique showing for the Camaro and Firebirds' special half-century anniversary. Browse the gallery for even more F-body goodness. 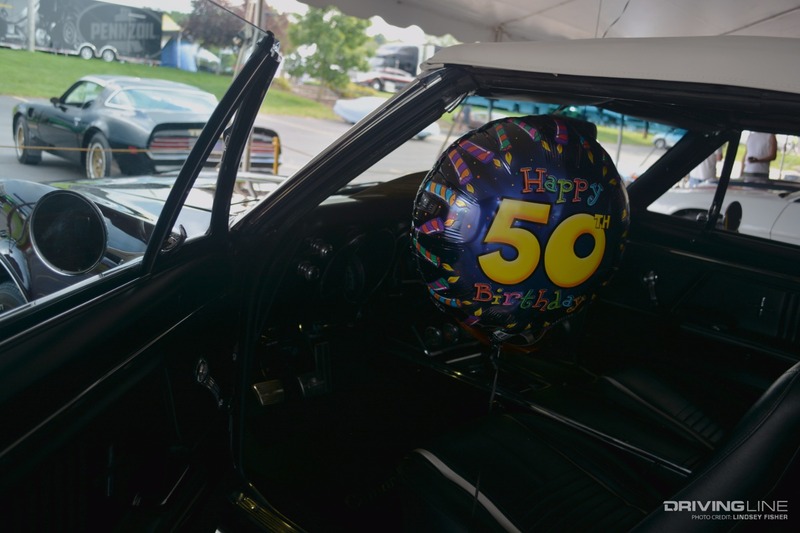 Here's to another 50 years!